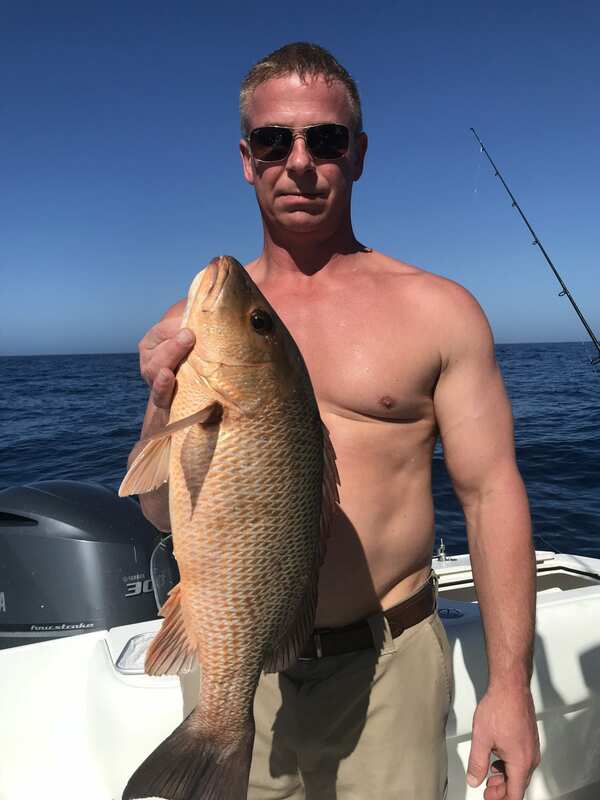 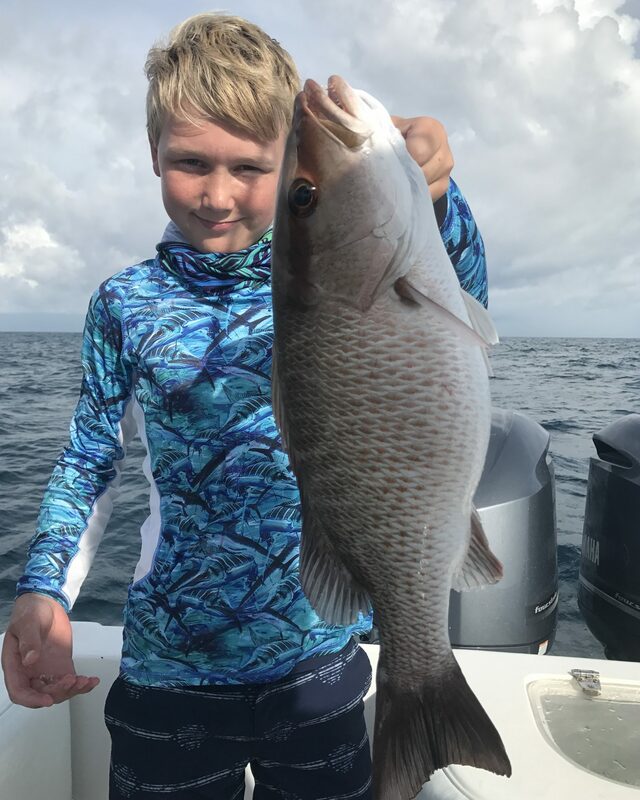 Mangrove snapper is a common species for our Deep Sea anglers, and is highly prized for its light and flaky meat, making it a great fish to target. 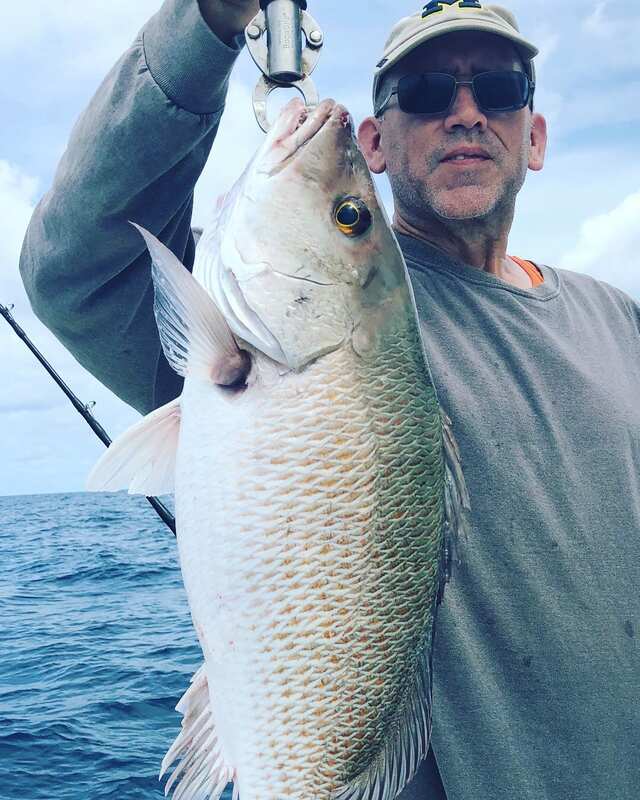 Often times we catch Mangoes while Hog Snapper fishing. 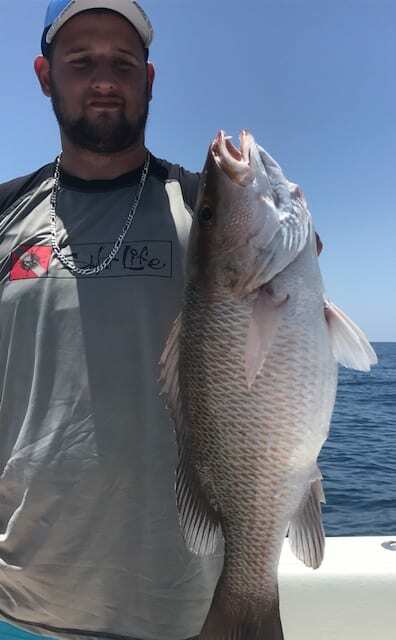 It can be caught on different baits, but we usually use live or frozen sardines and occasionally we will chum heavily getting the entire school behind the boat. 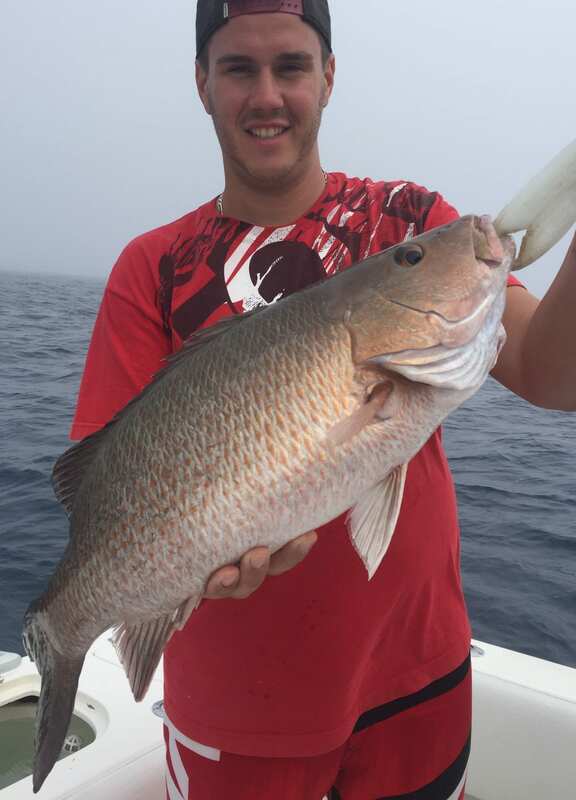 Their wariness of baits and great eyesight tends to increase as the fish grow larger. 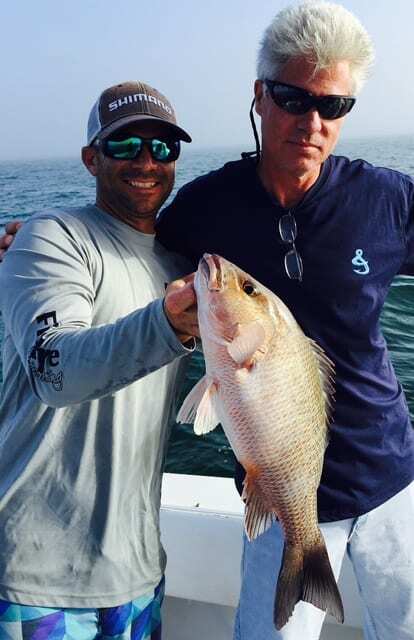 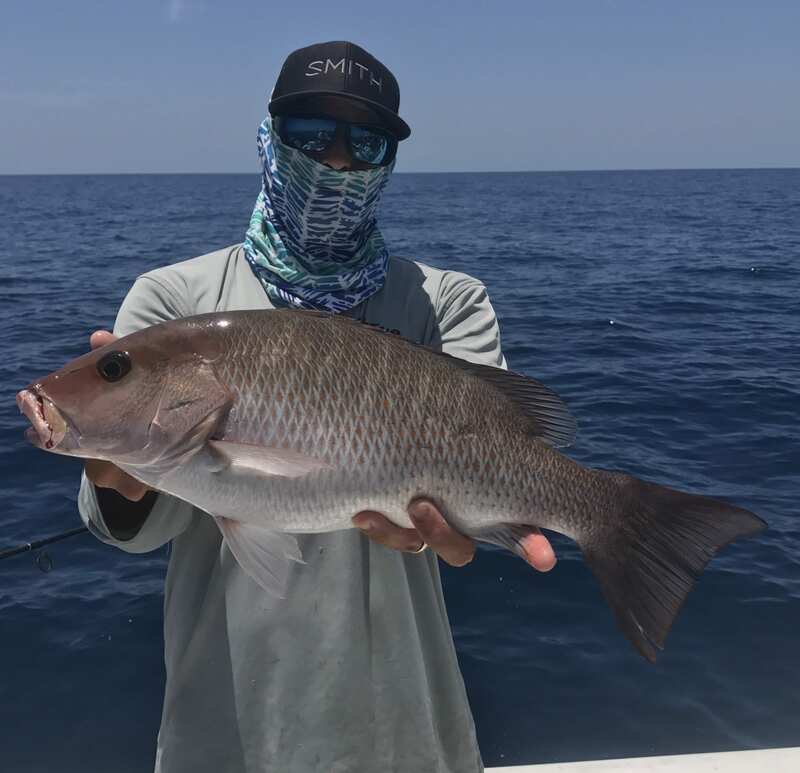 Most mangrove snapper we catch are on light to medium tackle, and typical catches range from 14 inches long in nearshore waters, and well over 20 inches long on our deep sea charters. 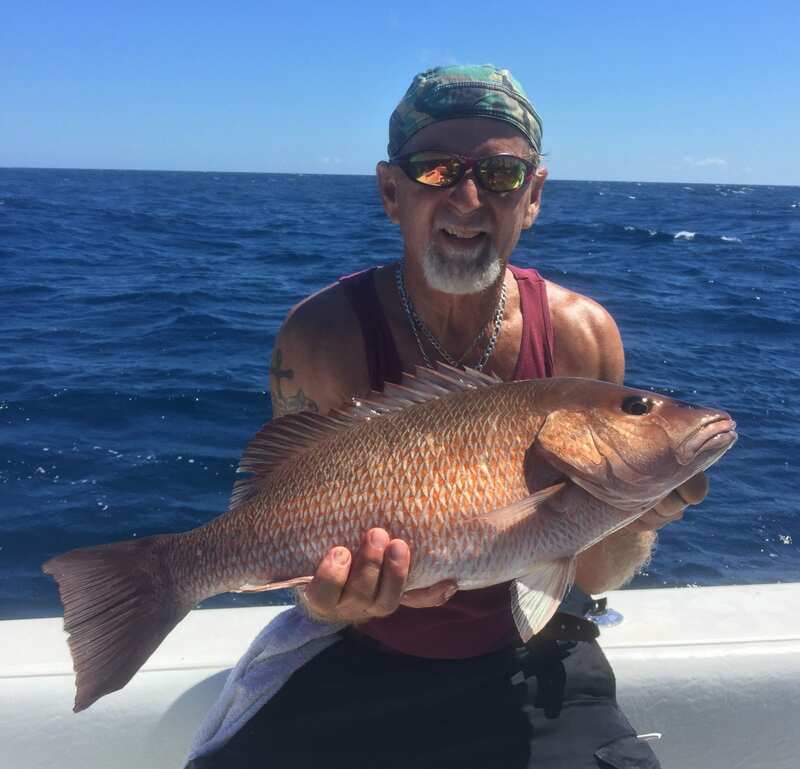 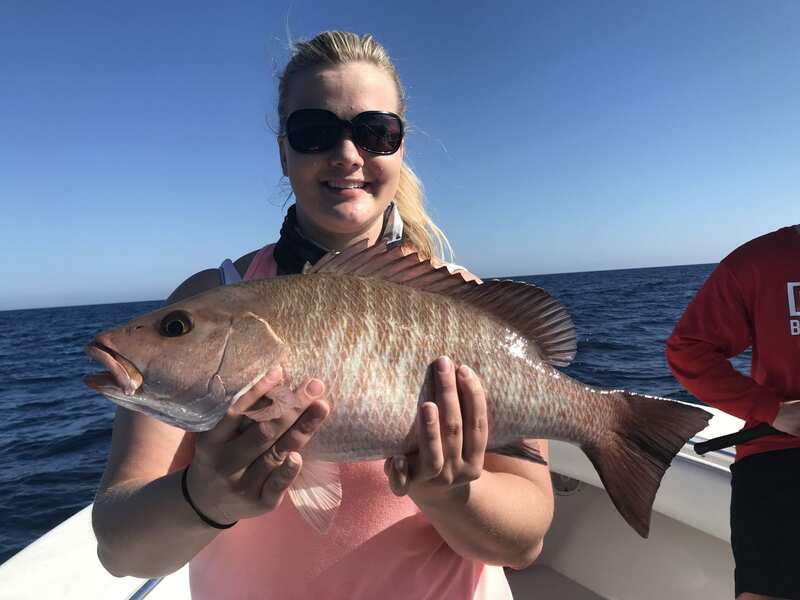 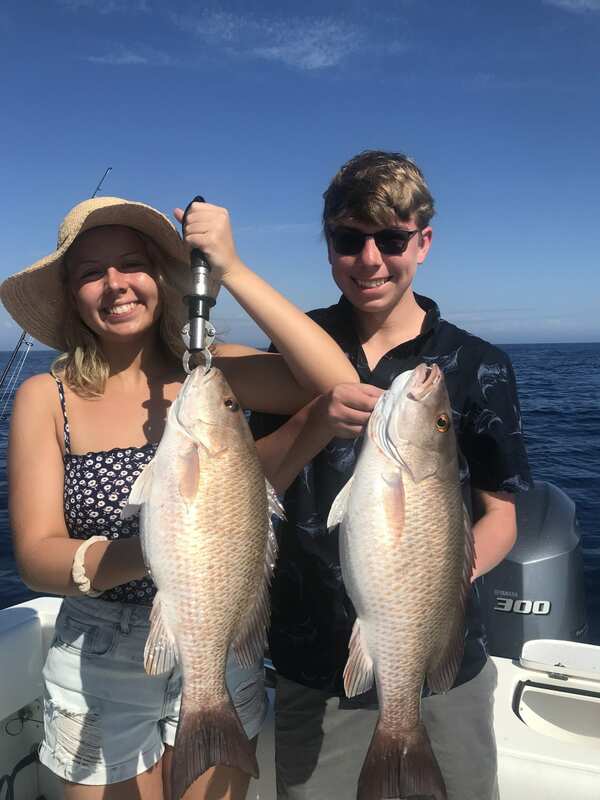 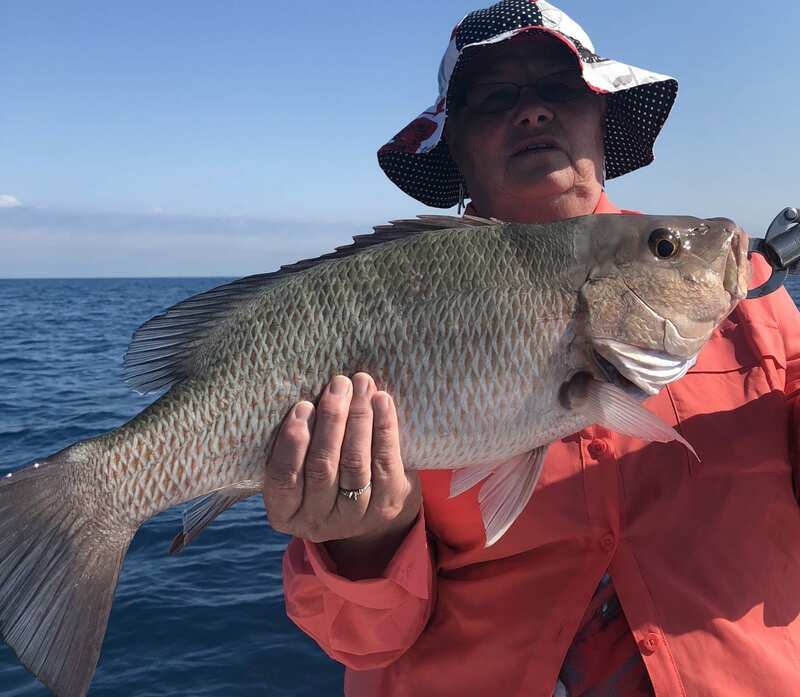 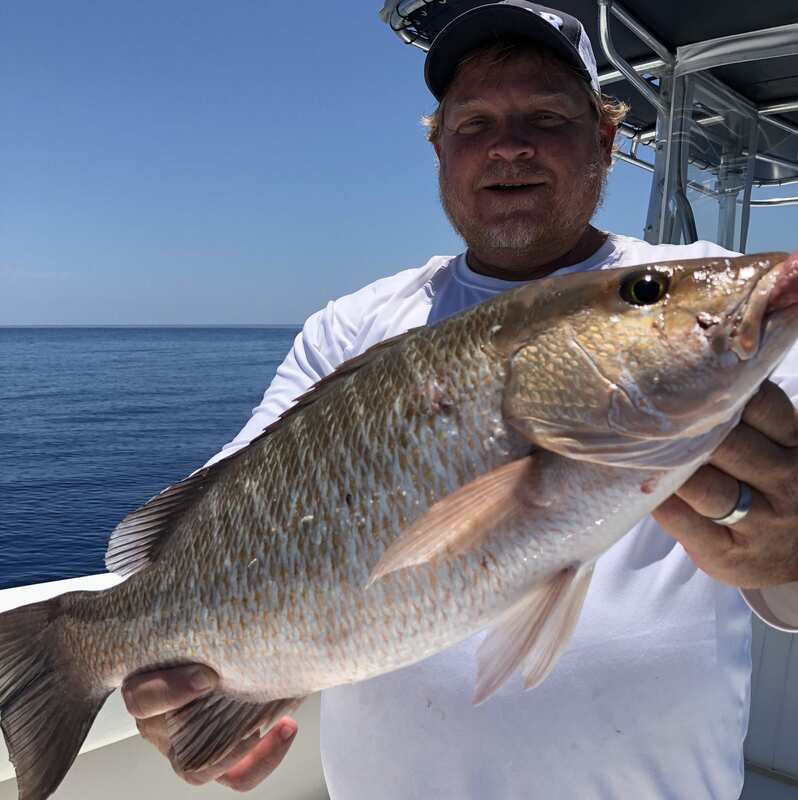 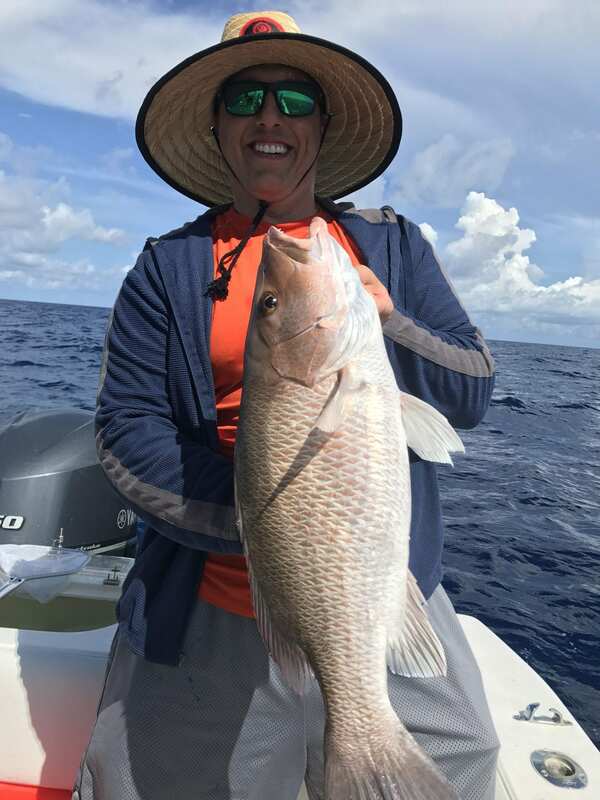 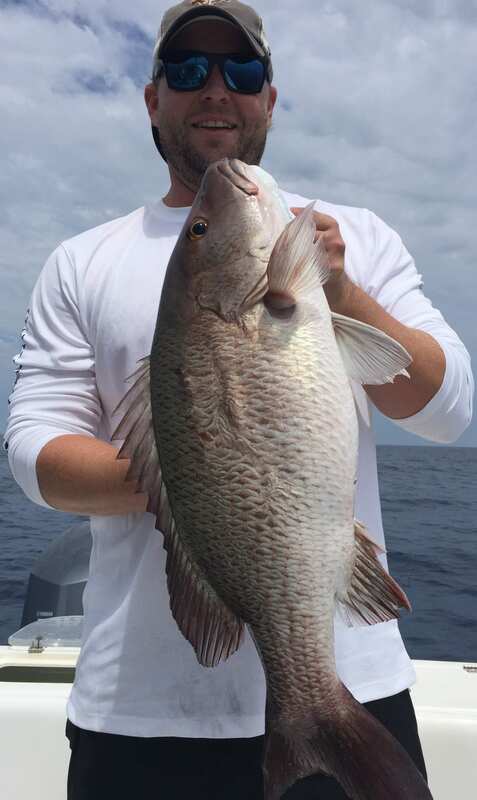 FishEye Sportfishing is a Top Rated Clearwater Fishing Charter, Mangrove Snapper are just one of the many species we target on our Deep Sea Fishing Charters. 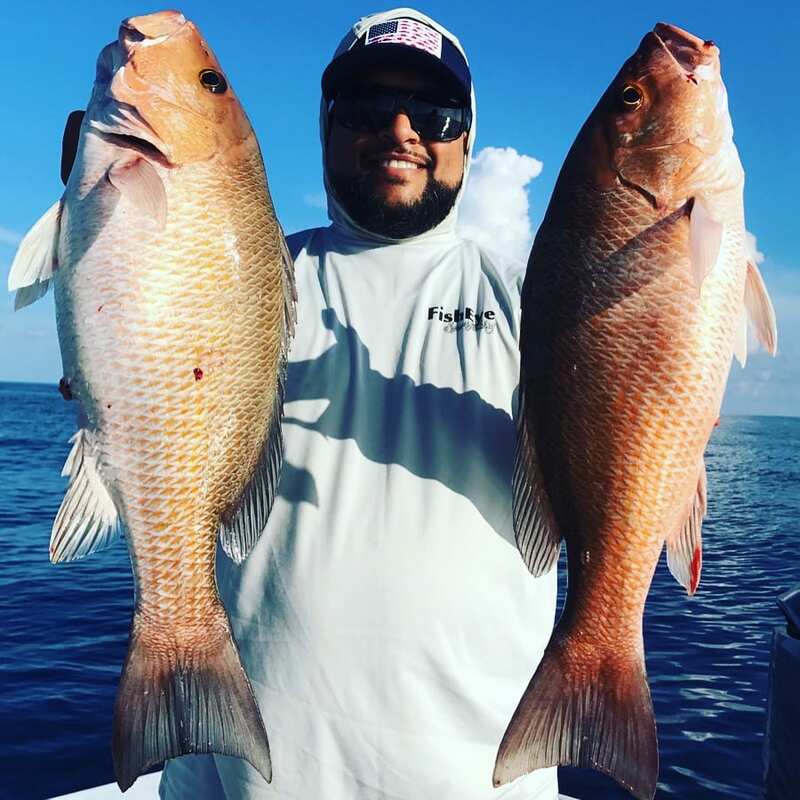 The many Wrecks and Reefs in the Gulf of Mexico hold numerous schools of Mangrove Snapper, making these tasty fish a great target. 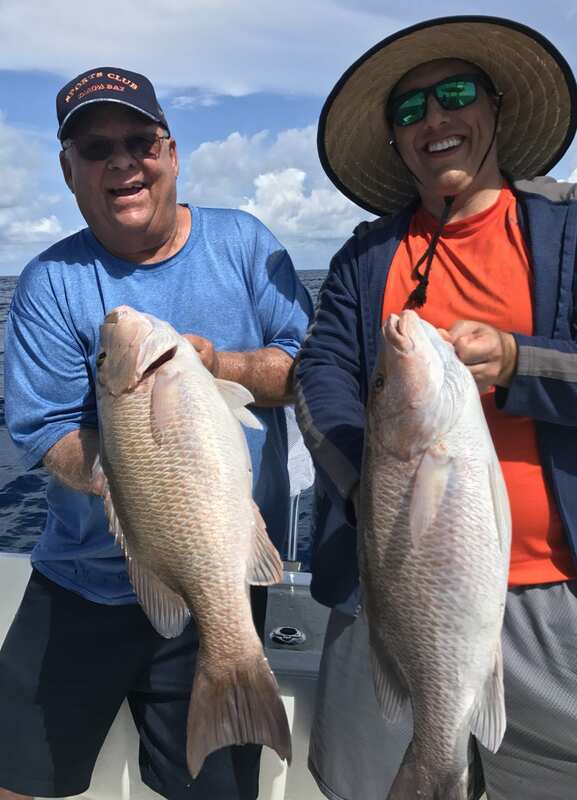 Pair of nice Gulf Mangrove Snapper.